Moving a page from one nested directory to another, or to the top level of your navigation is so simple! 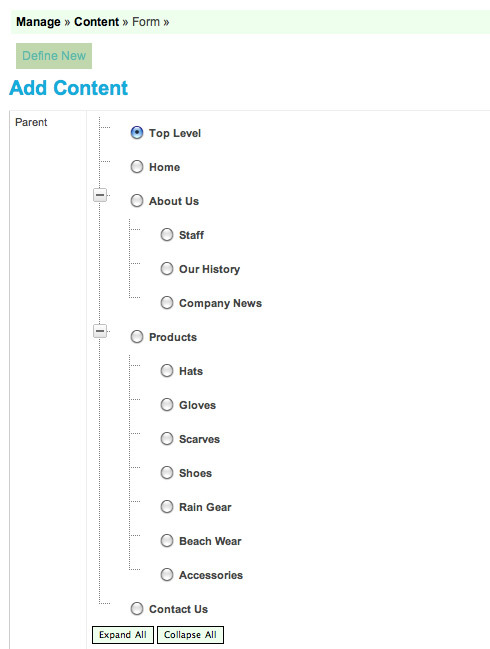 The sample page below is nested at the Top Level, as you can see by the radio button selected. To move this page into the About Us nest of pages, you would simply click the About Us radio button instead. If you have sorted your pages under About Us, then you would also want to designate a sort order for this page. Save the Define screen at the bottom, and you've moved your page!